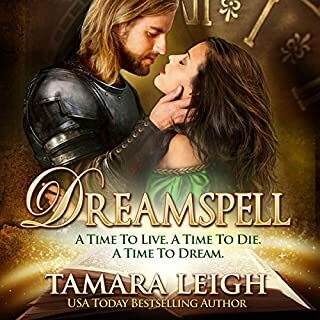 I love all of Tamera Leigh’s book without question but this one was a sad disappointment. 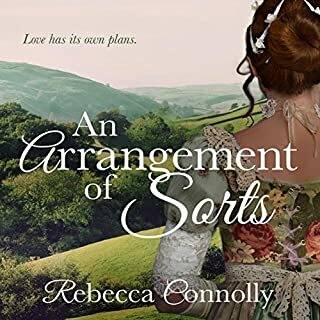 Life for Adda Sinclaire, New York Times best-selling author and historical romance writer extraordinaire, reads more like a country song than a breathless, bodice-bursting affair. For starters, she has no romance in her own life. That might have something to do with the fact that her husband - correction, ex-husband - ran off with Stick Woman, whom everyone knew would never be more than a mid-list author anyway. Stealing Adda steals your heart and keeps you coming back for more! Jorgen is the forester for the wealthy margrave and must find and capture the poacher who has been killing and stealing the margrave's game. When he meets the lovely and refined Odette at the festival and shares a connection during a dance, he has no idea she is the one who has been poaching the margrave's game. The narrator makes this book almost painful to listen to. Due to her parents' promise at her birth, Lady Rosemarie has been prepared to become a nun on the day she turns 18. Then, a month before her birthday, a friend of her father's enters the kingdom and proclaims her parents' will left a second choice - if Rosemarie can marry before the eve of her 18th year, she will be exempt from the ancient vow. He was the vilest of men. She was a question never before asked of him. Ranulf Wardieu does not seek a bride, nor a settling of scores when his mission for the king places him in the path of a beguiling, raven-haired maiden. But fascination turns to fury when she imprisons him. 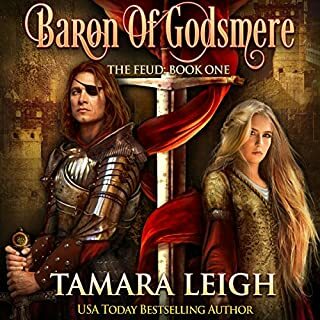 Accused of wrongdoing, the nature of which she refuses to reveal, he discovers the lady is as skilled at wielding a sword as she is at verbal sparring. When he bests her at her game and his jailer becomes his captive, he is determined to learn what wrong he has done her. However, as they engage in a battle of wits and wills and he glimpses her woman's heart, he discovers Lizanne is a question never before asked of him - one his own jaded heart refuses to answer. 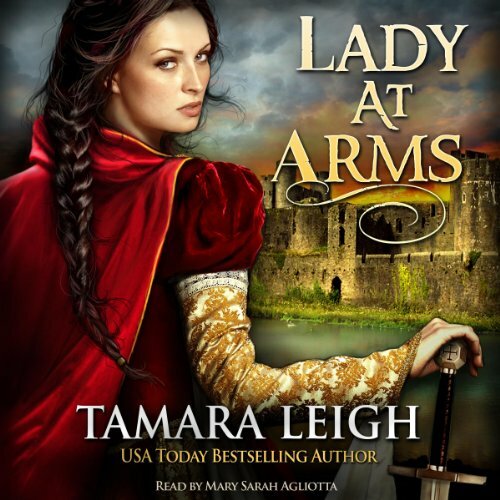 Tamara Leigh's story about revenge is not your cookie cutter historical romance. It is about a Lady who for years prepares, by honing her warrior skills, to avenge the wrongs carried out against her family; and to protect herself from being ravaged by men. Without considering the ramifications of her actions to her family and home she imprisons a peer of the realm; the man she holds responsible for the attach on her family and her person. A man held in esteem by the king. Great performance by Mary Sarah Ogliotta. You can tell that to author wrote this in a different time in her life. Although it was clean, I felt her hero lacked strong moral character. There was little to no conviction on God and faith, And the beginning of lizanne action seamed silly and actually annoying through the first half of the story. However it did pick up but it lacked the thorough creative story line that her faith series held. Sometimes there was things her charecheter did that had no purpose. This is not typical of Leigh's writing, so I was a little disappointed. In the end it was an entertaining read. I may read another in this series or skip it. It reminded me of everything I like about the movie Everafter, embodies strong female heroine and surprised with an even stronger hero. But be warned. There were times I listened on my lunch break and the story was so captivating I was sneaking long bathroom breaks to find out what happened next. Renaulf. A knight in shining armor with a decidedly real manliness (and temper) to him. Which character – as performed by Mary Sarah Agliotta – was your favorite? Lisanne. I was absolutely "right there" with her the whole time. Oh my goodness yes! Quite a few but that scene in the tent that I can only call "the scar" when Lisanne catches a glimpse of Renaulf's abdomen. I felt every emotion ripping her apart in that scene. And I HAVE to mention when Renaulf comforts her in her sleep. The emotional contrast and all his questions in that moment of audiobook were captured so beautifully by the narrator and told by the author. I'm super picky about the time periods I'll read in historical fiction. Pretty much never had an interest in this time period but so, so glad I gave this one a chance. Will for sure be listening to more by this author and narrator combination. I watched a movie not long ago where a character intentionally put on an overly dramatic British accent. As soon as I heard this narrator, all I could think of was that character. 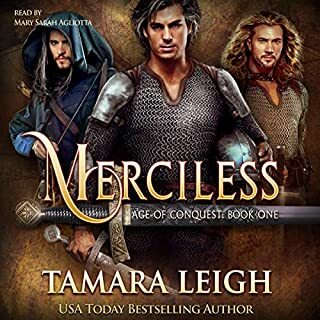 I couldn't get over it...I'd love to listen to the rest of Tamara Leigh's books, but since all I can think of is that character I'll stick to reading them. I could not stop listening! Amazingly fast paced, adventurous, romantic story! A much more racing and romantic story then EverAfter! (One of my favorite movies!). I thought the narrator did a great job. It is your typical romance story, with those awkward moments that make your own cheeks flush due to the awkwardness of falling in love and verbal sparing:) but very clean. The characters are lovable and you feel completely drawn into the story as you cheer them on to finding out they truly love each other. very well written. not too trashy. nicely narrated. already downloading the second book in the series. definitely will read more by this author and narrator.. I enjoyed this book. It is fairly predictable but still enjoyable. Apparently, it is a clean remake...so U appreciate that too. I will be reading /listening to the next in the series! A female tomcat meets her match! This is one of my favorite fictional period pieces by Ms. Leigh. 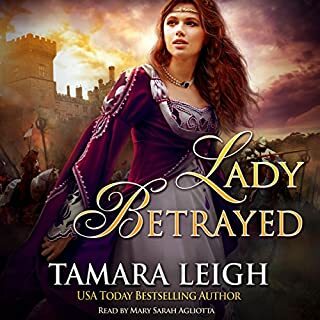 A strong hero and heroine in a medieval setting with simple splashes of romance and daring bouts of swordplay and intrigue. It has the right mixture of dialogue and action to keep your attention, along with an excellent narration by Mary Sarah. The narration adds such grace and dimension to the reader's enjoyment. 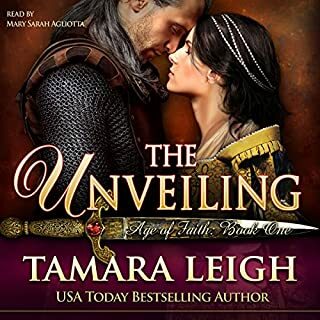 So, if you enjoy a thrilling clean medieval romance, don't miss your opportunity...buy this audiobook. very good. from the first page to the last. didn't want to stop reading.